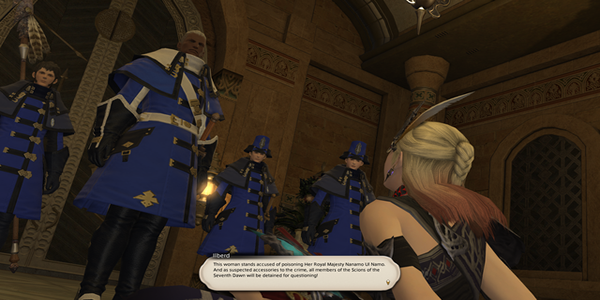 The Patch 4.2 of Final Fantasy XIV brings much needed content, for instance, patch 4.2 will add content that we've come to expect from the usual major patches, starting with the latest new Main Scenario Quests to keep the story of 4.x going. A live stream for Final Fantasy XIV have been held by Square Enix, and this event is called " Rise of a New Sun". What's more, 4.2 adds two new dungeons with Hells' Lid and “The Fractal Continuum. The new Trial is adding The Jade Stoa and The Jade Stoa for The Four Lords series. The patch will bring in new side quests including more from Hildibrand and new Beast Tribe Quests with the Ananta. Update 4.2 makes things easier with Glamour Commodes, which is a filthy-sounding term for a good thing. Players will be able to convert items into glamour more directly using these Glamour commodes, storing up to two different looks for each item type—weapon, chest, hat, etc cetera. More details will be revealed on that later, visit the official website here. The next big news of Patch 4.2 is the inventory update. Starting in Rise of a New Sun, players can let out a big sigh of relief, as stack size of consumable items and crafting materials will be increased from 99 to 999. Moreover, "Chocobo Saddlebags" will also give you some extra space with 70 slots. Christmas is coming, and the Starlight Celebration kicked off, and Square Enix has detailed some of the holiday-themed items and rewards you can get during the limited-time event. Starting Patch 4.2, players will get to convert equipment into "Glamour Commodes", although it still remains unknown whether dyes will carry over. The patch also introduces new updates including new trials and dungeons, a huge update to the glamour system, new primal battle, new raid dungeon, the feast PvP updates and a new duty recorder feature. Square Enix has also announced the dates and locations for their 2018-2019 Final Fantasy XIV Fan Festivals.